There’s always something we don’t tell people, though feel we might like to. It would at least be something if we could write it to down to let them know, but sometimes, we simply don’t. 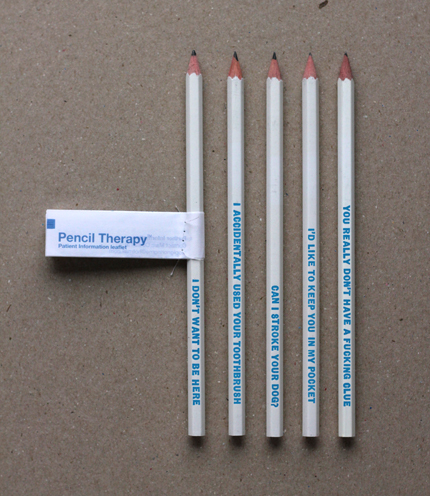 Pencil Therapy™ solves this conundrum. 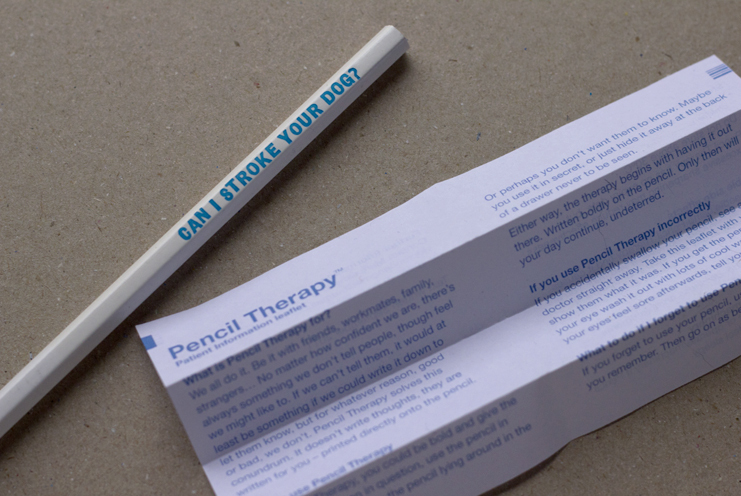 It doesn’t write thoughts, they are written for you – printed directly onto the pencil. You could be bold and give the pencil to the person in question, or perhaps you don’t want them to know and just hide it away at the back of a drawer never to be seen. 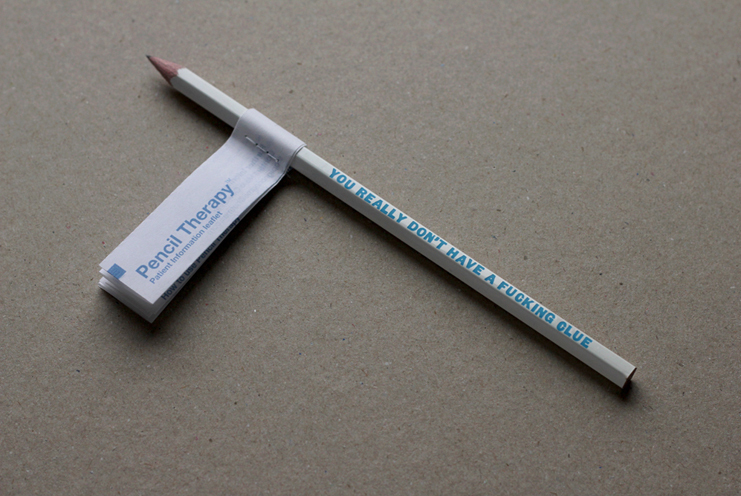 Either way, the therapy begins with having it out there, written boldly on the pencil. Only then will your day continue, undeterred.